October | 2017 | Mike Lamberti, From Margate To Cleveland, And Back ! 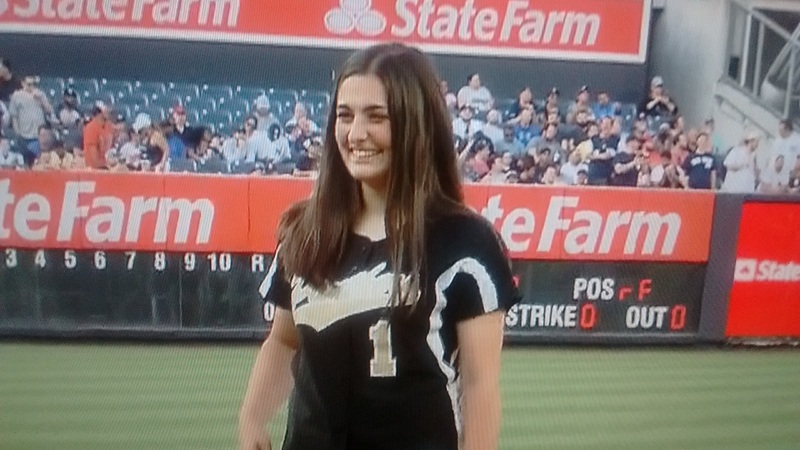 Long before Mia Faieta accomplished the 21-for-21 masterpiece which literally put her on the national stage, she had drawn interest from St. John’s University, for her pitching prowess. 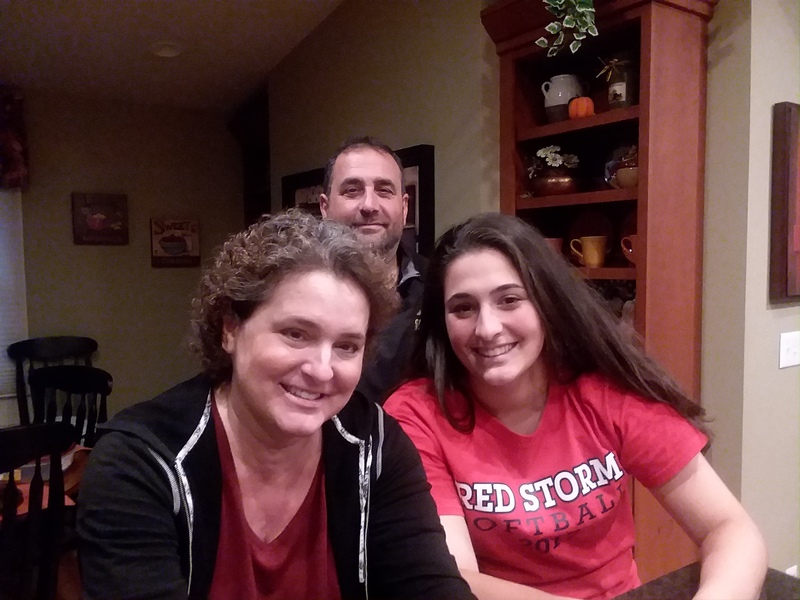 And that initial attention went a long way for Faieta, a junior at Cedar Grove High, who gave the Red Storm her verbal commitment to play softball in Queens, New York, come the fall of 2019. The eldest of two children, born to Fran and Paul Faieta, and the older sister to Alex Faieta, Mia had an incredible season for Cedar Grove in 2017, guiding the Panthers to a Group 1 championship, and a berth in the first NJSIAA Tournament of Champions, last June. 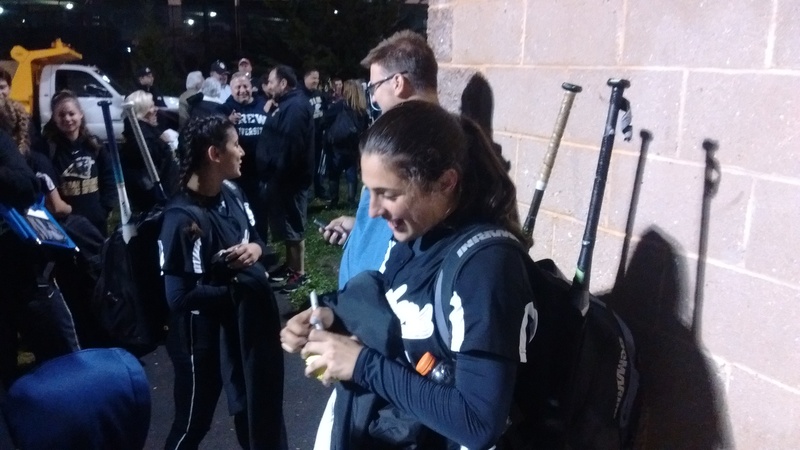 Along the way, Mia pitched a gem for the ages, throwing a perfect game, in which she struck out all 21 batters she faced, as Cedar Grove advanced in the state sectionals, on May 26. Faieta’s dominance in the circle, with that wicked fast ball and stirring riser, made her one of the state’s best pitchers in 2017. The righthander struck out nearly 400 batters in 176 innings of work. She pitched to a 0.76 ERA and lit up the state tournament, not only with the 21 strikeout effort, but in hard-fought wins over Verona for the sectional title, Roselle Park in the Group 1 semifinal and another perfect game in the Group 1 final, opposite Metuchen. At the Tournament of Champions, she spun another beauty, as Cedar Grove edged Robbinsville in the first round. A night later, the memorable season ended with a loss in the semifinals to the eventual TOC champion, Immaculate Heart Academy, 3-0. Despite that loss, Mia was outstanding, holding the potent Eagles offense to one hit. 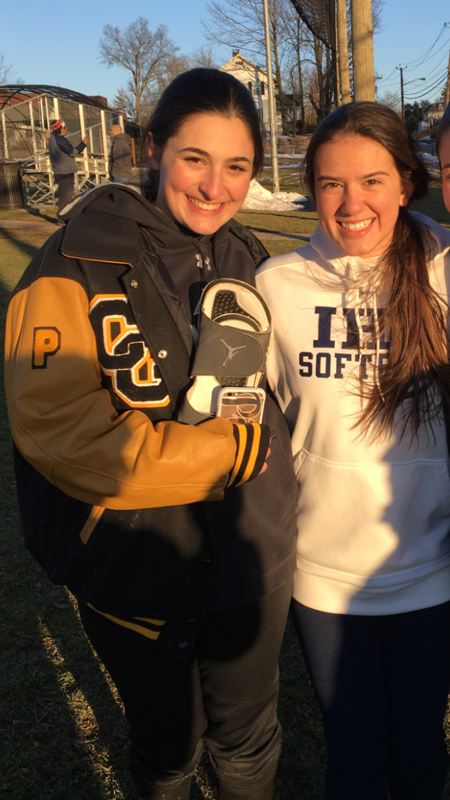 After the game, Faieta went out of her way to credit IHA for a big win, and lauded the Eagles’ senior pitcher, Olivia Sprofera. Cedar Grove finished the 2017 season with a 23-8 record. The incredible run in the state tournament gave Mia a lot of attention, and not just locally. 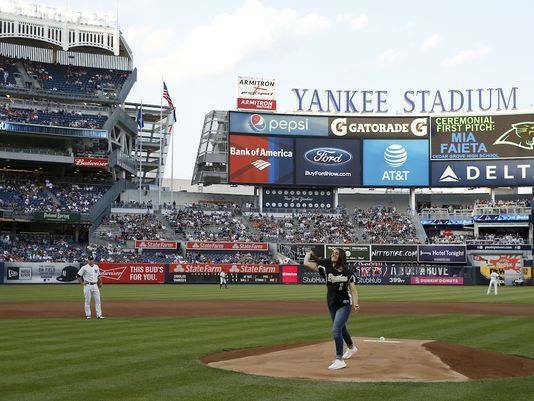 She would appear on television news shows, signed her first autograph, and threw out the first pitch at Yankee Stadium, on June 10, before a Yankees-Orioles game. “It was crazy,” said Faieta, with that perpetual smile and humbleness. 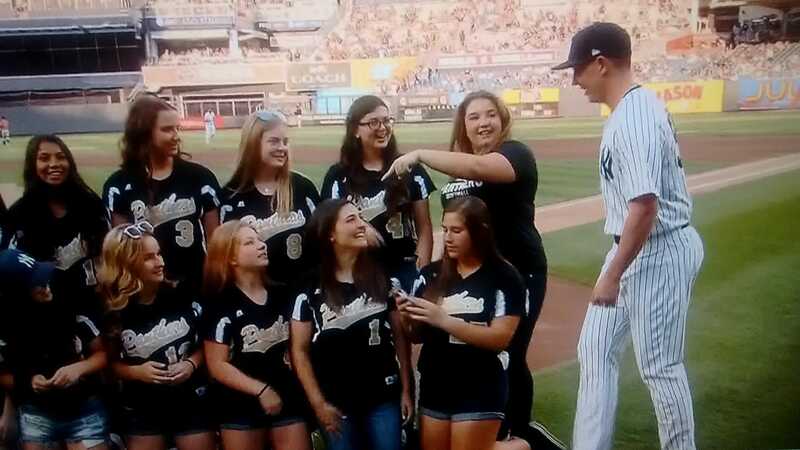 “After (the 21 strikeouts), I had gotten a few calls, tweets and stuff. But then, it just took off. I mean, I’m at school, having lunch, and there’s someone who wants to interview me. I just wanted to eat. When a young fan asked Mia for an autograph after a Cedar Grove win in the Tournament of Champions, she was surprised. Faieta informed St. John’s of her decision this past Labor Day. 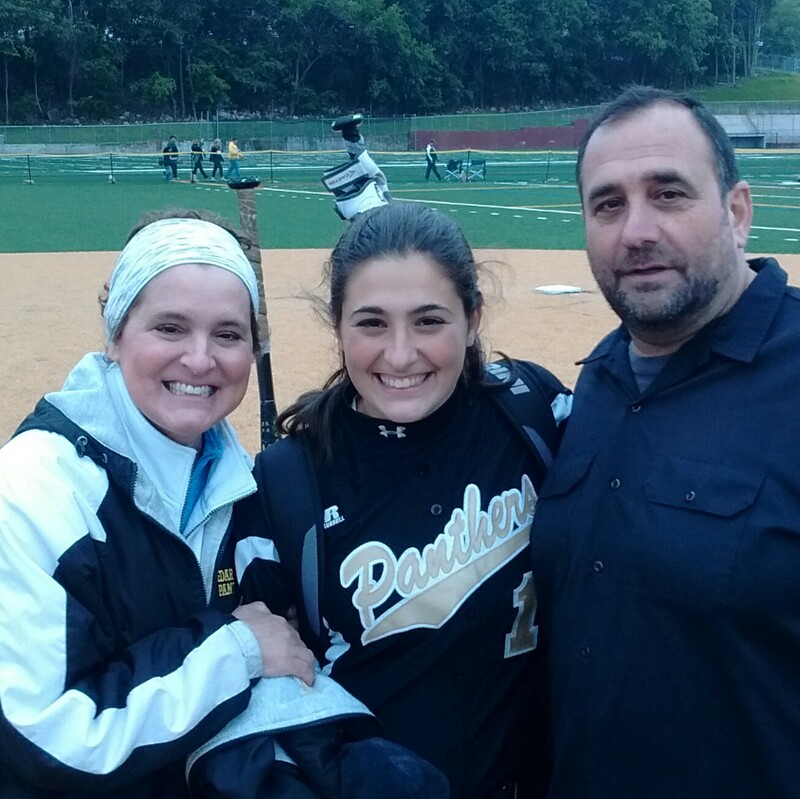 Fran Faieta was herself a top softball player at Cedar Grove, leading the 1984 Panthers to an Essex County championship, while playing shortstop. Fran played for the legendary coach Ray VanDerMay, who was a big part of helping Mia become a top player. Mia’s summer coach, Phil Delgado, along with high school coach, Nicole Velardi, have also been prominent. (Fran Faieta had some health concerns a year ago, but she’s made tremendous strides). Velardi, herself a top college player on the NCAA, Division II level, was thrilled that Faieta had made her decision so soon. Mia loves New York City and can’t wait to experience it, as a college student. 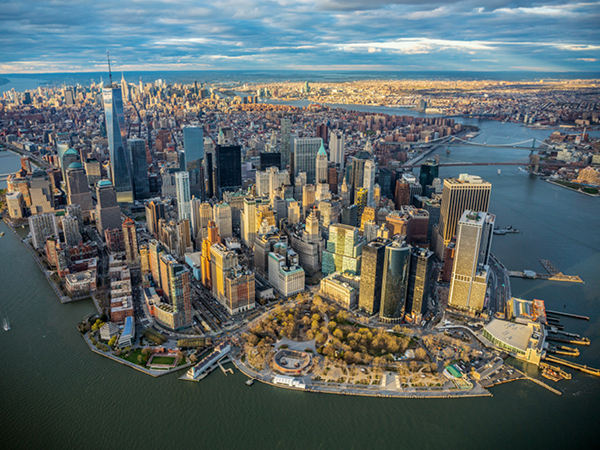 Faieta agreed that her love for New York is genuine. Mia’s dad, Paul, has stayed somewhat in the background, watching his daughter become a dominant high school pitcher. He’s a constant at the softball games, with a big smile. Recently, he accompanied Mia to Florida for a tournament. He recalls watching her become a stud pitcher. Mia’s ‘fame’ from last spring still carries on, according to Fran. While playing softball on the collegiate level will be exciting, education is also important to the Faieta family. 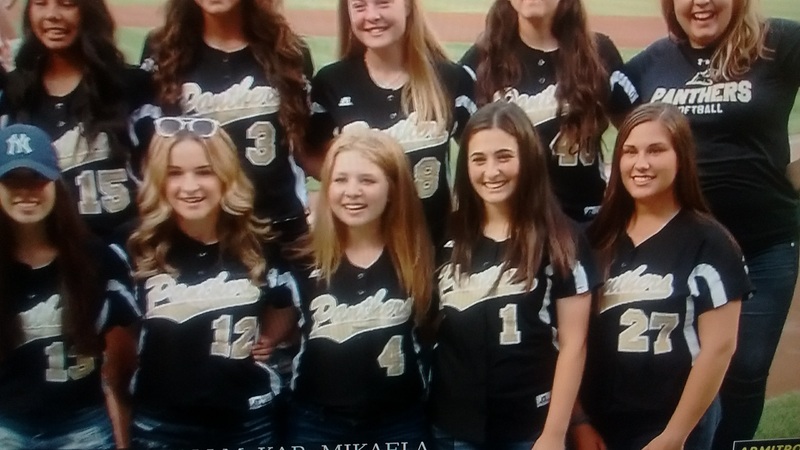 Mia enjoys working with younger softball players. She’s participated in clinics for 12U players. She’s also a member of the Key Club and Peer Leadership at school. As Faieta, who will turn 17 this Thanksgiving, looks ahead, she’s not rushing her high school days, either. “I’m looking forward to our upcoming softball season at Cedar Grove,” she said. “My family has always been there for me. They’re great. And my teammates are the best. We had a great run, getting to the Tournament of Champions last season. It was a nice experience and we’d like to get back there (in 2018). What’s that old saying? Those who do not learn history are doomed to repeat it? With that said, Belleville High’s 84-0 setback to Irvington, on Oct. 21, should be nothing more than another football game. I understand the disappointment on the part of many local high school coaches and administrators, saying that Irvington. putting up 84 points, wasn’t necessary. And there were some well thought out features, by local sports writers, expressing outrage at the score. And I get all that, and respect everyone’s thoughts. I’m just here to say, as a Belleville High grad, who has been around Belleville football for nearly 50 years, as a fan and writer, that when it comes to the program, try two things. 1-Get Better. Or…2-Disband the program. It’s time. Really. Enough of the excuses. Twenty five years ago, Belleville’s schedule included games against the likes to Don Bosco, Bergen Catholic, St.Joseph and Paramus Catholic. There was a time they were all on that schedule in a single season, on a regular basis. There was also a time that Belleville had a winning record in its series with Don Bosco. There were a number of wins against Paramus Catholic, too. And there was a 3-0 loss to Bergen Catholic one year, on a field goal at the final gun. As late as 1993, Belleville was playing at St. Joseph for a chance to win an NNJIL title. They lost, 28-3, but it was a good effort. By the late 1990’s,with the (now) non-publics, then called parochial schools, getting stronger and stronger, it made sense to say that Belleville, and many other high school communities shouldn’t be playing those football powers, and actually be competitive, much less win. Fine, so those schools gradually left the BHS schedule. Paramus Catholic was the last to fall off the slate, nine years ago, after Don Bosco (last game, 1997), Bergen Catholic (2001) and St. Joseph (2005) departed. The feeling was, with a ‘better’ schedule, the program would compete. And there were a few decent seasons, notably in 2007 and 2008, when the Bucs were 5-4 in the regular season. The ’07 team actually qualified for the NJSIAA playoffs, for the first time in 23 years, under coach Joe Fischer, and the 2008 Bucs, led by first year coach Chris Strumolo, defeated Nutley for the first time since John Senesky’s final game, as head coach, in 1996. But by 2010, the decline became more noticeable. And now, despite the attempts of an energetic young coach, in Mario Cuniglio, the program has reached a crossroads, with that Irvington game. 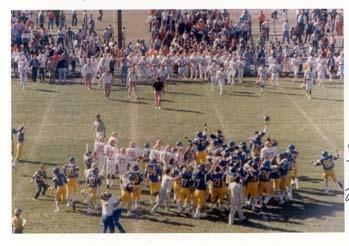 Forty years ago, almost to the day, Belleville played, at home, against Seton Hall Prep. (The actual date was Nov. 5, 1977). The final score was 63-0, Seton Hall. The Pirates led, 42-0, at the half, and trust me, the game wasn’t even that close. There was a certain amount of outrage about that score, too, especially then, when the average high school football score in New Jersey was like 14-6, and a one-sided game was usually 20-0. It’s ironic that when I heard the score of the Belleville-Irvington game, I was sitting with Passaic Valley head football coach Chet Parlavecchio, following a PV game. Chet was a captain of that ’77 Seton Hall team. He went on to play at Penn State, and eventually was in the NFL as a linebacker, with the Green Bay Packers and St. Louis Cardinals. More recently, Parlavecchio coached linebackers and special teams, for three seasons in the NFL, with the Tennessee Titans. Chet and I have talked about that Belleville-Seton Hall game on many occasions. We kid about the Joe D’Ambola hip pad situation, prior to the kickoff, which eventually led to the Pony Pirates really wanting to lay it on the Bellboys after Joe Aulisi was caught not wearing the hip protection during the National Anthem and were tagged with a 15-yard penalty before the game even started. The Belleville kids left that game 40 years ago, ticked off that they lost, but you know what? They remembered Chet chirping a lot in that game, but they also wanted to be as good as him, too. The program had bottomed out that day, and it was time to get back on track. Senesky was in his first season as Belleville’s head coach, in 1977. He said after that game that the program needed to get better. Back then, weight lifting wasn’t nearly what it is today, but Senesky had the foresight to implement it into the off-season conditioning program. A year later, the new-look Bucs would improve from 2-6-1 to 6-3. In the seventh week of the season, the team would lose at Seton Hall Prep, 28-6, in one of the worst officiated games I ever saw. And afterward, Senesky rightfully told his kids that the game was not lost because of lousy officiating, it was because Seton Hall Prep was better. And a year after that, Seton Hall came back to Belleville, and those sophomores, who got their butts kicked in ’77, led the Bucs to a 14-13 win over the Pony Pirates. A year after that, Belleville went to Seton Hall and dominated the Prep, winning, 34-8. And like I said earlier about the ’77 game, trust me, that game in 1980 wasn’t close, either. Senesky could have scored 60 that day, but that wasn’t his way. The Belleville fans had implored John to run up the score. ‘Remember 63-0’, they said. But that’s not what it was about. It is absolutely amazing how John Senesky taught all of us the meaning of humility and what winning was all about, whether it be on the scoreboard, or in life. Okay, so let’s get back to the current situation. There were questions posed as to why was Belleville playing Irvington, in the first place, last Saturday? First of all, they’re in the same division, and Belleville already had gotten out of division games with Wayne Valley and Wayne Hills. Second of all, Irvington is not some juggernaut in high school football. They’re a good team, which made the NJSIAA playoffs last year and at 5-2 this season, will most likely qualify again. One of Irvington’s two losses this season came against (wait for it), Nutley. At the time, Nutley was 0-3. The Raiders won, 34-12, and if you saw the game, it wasn’t that close. At one point, Nutley outscored Irvington, 34-0, and were within one touchdown of invoking the mandatory ‘run the clock’ rule, in the second half, when a game has a 35 point, or more differential. Irvington scored on the game’s last play to make it 34-12. As a Belleville High grad, it drives me nuts that Nutley, a one-time rival (not in football anymore, and that’s another story), can go out and play good teams, like Irvington, and not only compete, but win. Nutley is 4-3 now and could very well make the playoffs. So, after last Saturday’s loss, let’s not play Irvington any more, right? What’s next? Belleville doesn’t play Nutley, after that rivalry, which started following World War I and became a regular contest when FDR was president, became completely one sided over the last three meetings. From 2013-2015, Nutley outscored Belleville by a combined 149-12. The last game, in 2015, ended with the Raiders winning by 50 points, the largest point differential in the history of the rivalry. Belleville doesn’t play Bloomfield anymore. Glen Ridge is a Group 1 school, whose roster may, on an average year, have about 30 kids. Belleville played Glen Ridge twice, just a few years ago, and lost 40-0 and 30-6. Can’t play them no more. With the advent of the Super Essex Conference, Belleville began playing Caldwell, barely a Group 2 school, a few years ago. The Chiefs won by scores of 49-7 and 60-0. That’s enough of that, right? At one time, a generation ago, Belleville and West Essex opened the season against each other, with some exciting games. The schools also met for a state championship at Giants Stadium, in 1980. In 2009, the rivalry resumed, and the Bucs lost a well-played, 27-26 decision. But, two years later, West Essex won, 63-0, and after a 48-8 Knights win, in 2013, that series was over. Is there a list of schools that the Bucs can play? Is there a point differential which is acceptable to lose by? This year, the Bucs played Snyder High, of Jersey City. Two years ago, Belleville beat Snyder, 43-8. This year, Snyder was winning, 50-2, at halftime. A couple of years ago, Belleville played Plainfield, in an NJSIAA consolation game, at home. Plainfield came into the game winless. Plainfield won, 40-2. From 1997, through this year’s 1-7 start, Belleville’s overall record is 42-165, in nearly 21 seasons. That’s an average mark of 2-8, per year, with seven different head coaches. That mark includes three winless seasons and one losing streak that extended three years, from the middle of the 2002 season until late in the 2005 campaign. But, believe it or not, there’s actually a light at the end of the tunnel, and it starts with the head coach. The man finds positives in everything. He also doesn’t make excuses, and wasn’t in the mood for a pity party after the Irvington game, when he called me the morning after that game. He offered a no-comment to local reporters who wanted to talk about the game. With that said, I was at a coaches meeting the other night with another local high school program, and the conversation came up about the Belleville loss. One of the assistants on the staff in question heard Mario’s name, and lit up. 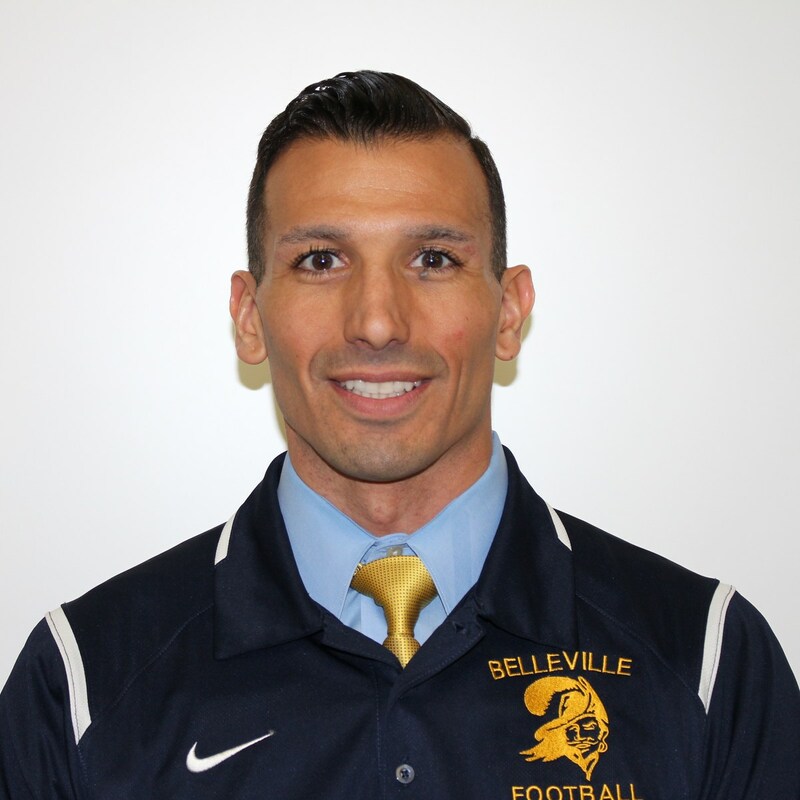 Belleville head football coach Mario Cuniglio has never given up on the hopes of turning the program around. And when you think about it, who cares if the score was 63-0, or 84-0? It was a loss. Sounding like Bill Belichick, Cuniglio said ‘we’re on to Millburn.’ Good for him. And after Millburn, Mario will coach his team in an NJSIAA consolation game, and then the real season begins. Thanks to some generous BHS alumni, and local people who want to see the program improve, Belleville now has a new weight room. And, to be fair, the football facility, and lockerroom, at Doc Ellis Field, are pretty nice, including a beautiful turf field. As far as the new weight room, will anyone use it? I’ve been around enough pretty good high school football programs to know that 40 to 50 kids, per day, are working out in their respective weight rooms, beginning in January, maybe earlier, and are there 3 to 5 days a week, through June, when practice can start up again. How many BHS players were in the old weight room over the past 15 years on a regular basis, for six months? 15 to 20? That’s not enough. Will a new weight room welcome more kids? Maybe, but you still have to the put the work in. If the players don’t want to make that commitment, in a nice facility, with a beautiful new weight room, and a coach who will do ANYTHING to help them, then, guess what? Stop playing high school football. There’s no need to have a program. I will say it again. Why is it that players from Nutley can beat Irvington by four touchdowns while Belleville was unable to compete with that same team, last weekend, much less win? And that’s the bottom line. I’m told that hundreds of youngsters in Belleville are playing soccer. Maybe that’s the way to go. The varsity soccer teams, for both boys and girls, are having good seasons this fall. Belleville recreation director Tom Agosta, himself a BHS grad and a one-time police officer in the township, noted that the Junior Bucs program needs help. Agosta followed by reiterating that the Junior Bucs need football coaches. Currently, there are three levels of junior football, with two coaches per team. Without a decent feeder program, the high school team will have a difficult time succeeding. But to make a big deal about 84-0? Why bother? It’s taking away from the real problem. And, if you don’t want to lose by that score, play better. 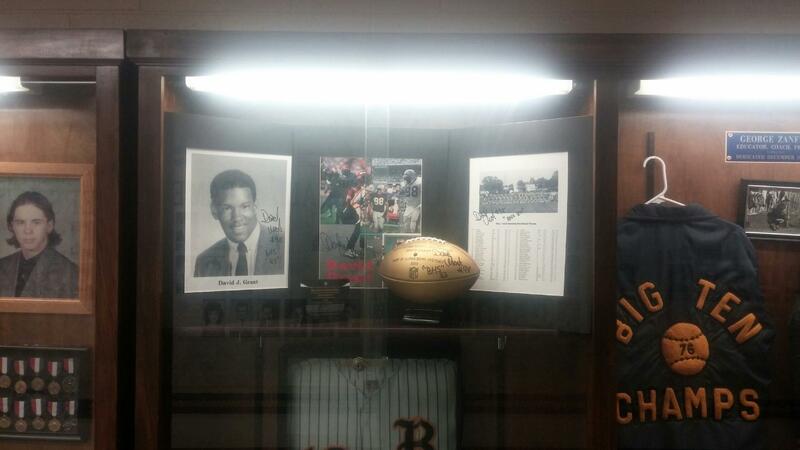 When it comes to honoring its athletic history, Belleville is the same school system which took nearly 30 years to acknowledge a former Buccaneer, who played in a silly little game called the Super Bowl. Yes, David Grant not only appeared in Super Bowl XXIII for the Cincinnati Bengals, he played the entire game on defense, against Joe Montana and the San Francisco 49ers, in what was, at the time, considered one of the most exciting games in the history of the Super Bowl. Grant had a six-year NFL career. 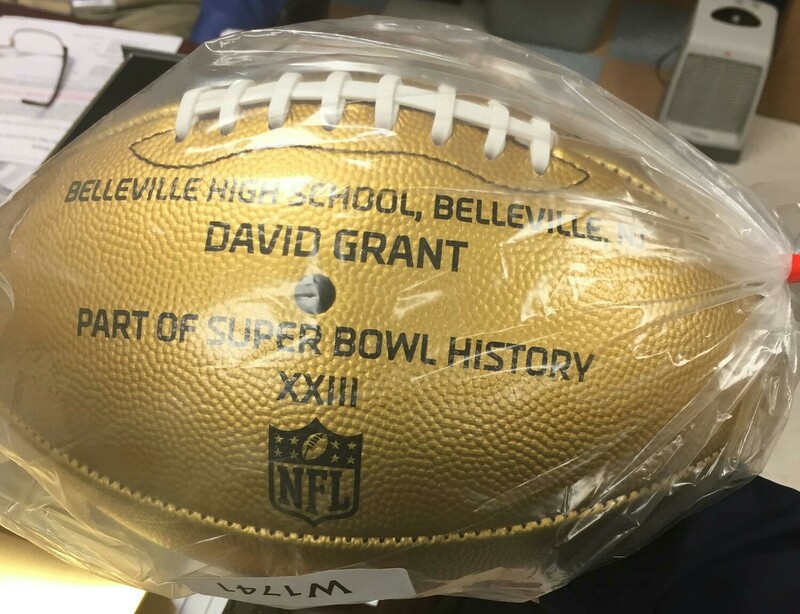 And until the NFL basically shamed Belleville High, by presenting a gold football to the school, in David’s name, on the 50th anniversary of the Super Bowl, there was no mention of Grant anywhere in the school. No jersey. No name. No photo. Nothing. If there’s no understanding of history and the knowledge of what the football program, and for that matter, athletics, in general, meant to that community, then there will be no comprehension, with the current student-athletes, of the pride that went into playing for the Blue and Gold. And a new weight room won’t change that. To be fair, there’s a new administration at Belleville High, led by an enthusiastic Superintendent of Schools, Dr. Richard Tomko, who wants what’s best for the students, and also demands accountability. Within the past year, Belleville High has a new principal (Caleb Rhodes) and athletic director (March Marra), both of whom have been well received. This year’s Belleville football squad is made up of a lot of freshmen and sophomores, just like that 1977 team which lost to Seton Hall Prep. And they’re good kids, who are trying. No doubt about it. Forty years ago, Belleville hit a low with that 63-0 game against Seton Hall Prep. Within two years, the team was 8-1 in the regular season, and in a playoff game at Giants Stadium, against a state power, in Union High, a game which Belleville lost, 15-12, in the final seconds. The following year, the Bucs had won a first round playoff game, also at Giants Stadium, and were back at the Meadowlands for a state championship game. And, within five years of that 63-0 loss, the Bucs were defeating the number one ranked team in the state, as well as a nationally ranked team, Passaic, 3-2, in what may have been the greatest sporting event in Belleville High history, known to many as ‘The Game’. Later in that 1982 season, Belleville would host its first-ever NJSIAA playoff game, against Union. 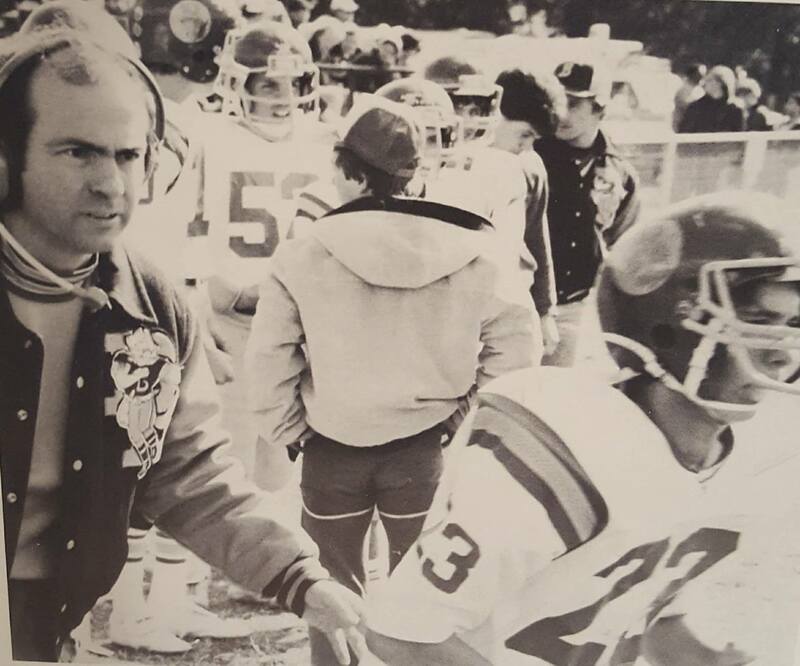 Just five years after Belleville lost a 63-0 decision to Seton Hall Prep, at Municipal Stadium, there was a celebration for the ages when the Bucs defeated the state’s top-ranked team, Passaic, on Oct. 2, 1982, in ‘The Game’. I’m not saying that will happen in this era, but if the football program hopes to compete (much less win), then it needs commitment and resolve. There have been seven different head coaches since the geniuses on the Belleville Board of Ed forced Senesky out after the 1996 season. (That’s another story, for another time). Senesky, when contacted this past week, was hopeful for the future of the program. John not only coached at BHS for nearly 30 years, he was also a player for the Bellboys, from 1961-1963. And, after he left Belleville as a coach in 1996, he found more success as a high school head coach 3,000 miles away, in Suburban San Diego, by winning a conference championship a decade later. “Coach Cuniglio has the proper approach in not looking back, but focusing on the goal ahead and taking each opponent, one at a time,” said Senesky. “At times, we may find that our greatest victories may often follow our worst defeats. I’ve often heard that success in sports, and in life itself, comes when we can take our Stumbling Blocks and turn them into Stepping Stones. Class exudes class. And with Senesky showing his support toward Cuniglio, also a top guy, maybe the future will be bright. The time to find out is now. Belleville’s own Phil Cuzzi will join a list of impressive names who have umpired Game No. 1 of the World Series. Here’s a list of those men who have earned that honor over the past 50 years. Good luck, Phil, from your Essex County pals. Here’s an article on Phil and the Belleville friendships that never end. 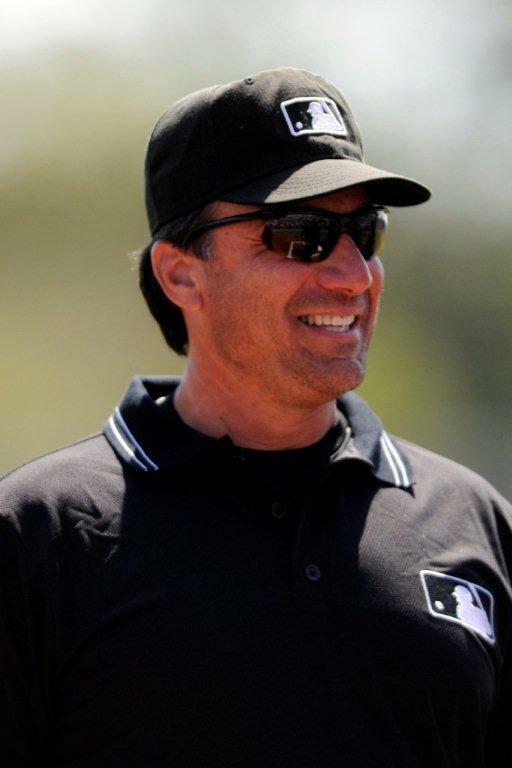 Phil Cuzzi’s hard work and perseverance landed him the ultimate assignment for a Major League Baseball umpire. Cuzzi, a Belleville, NJ native, will be behind home plate for Game #1 of the 2017 World Series, starting on Oct. 24. Those who know Phil well, will say it’s not a surprise that he’ll be on the big stage, quite possibly at Dodger Stadium, assuming L.A. wins its NLCS series with Chicago, and behind the plate for the start of baseball’s biggest game. While Cuzzi has attained a level of success in his profession, he’s never left his Essex County roots. He still lives locally, gives back to his community regularly, and has never forgotten his friends. 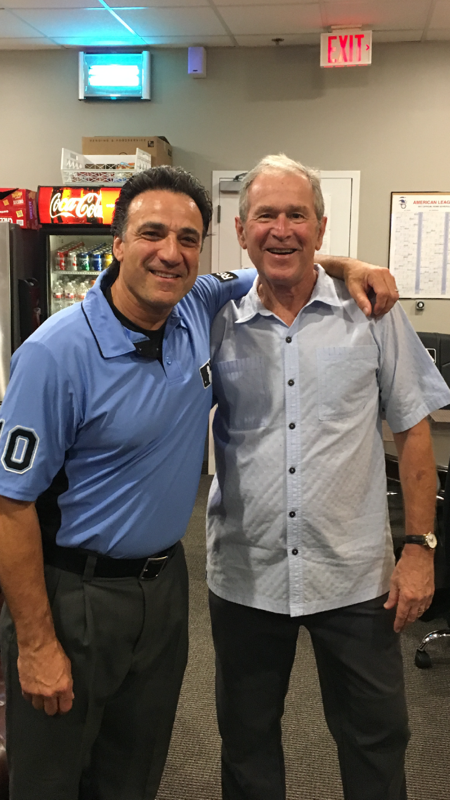 When Cuzzi got the call from Joe Torre last week that he was chosen to umpire in the World Series, Cuzzi, a man of deep faith, shared the moment with his family, beginning with his wife, Gilda, sister, Patricia, in-laws Domenica, Antoinette and John, along with their spouses. 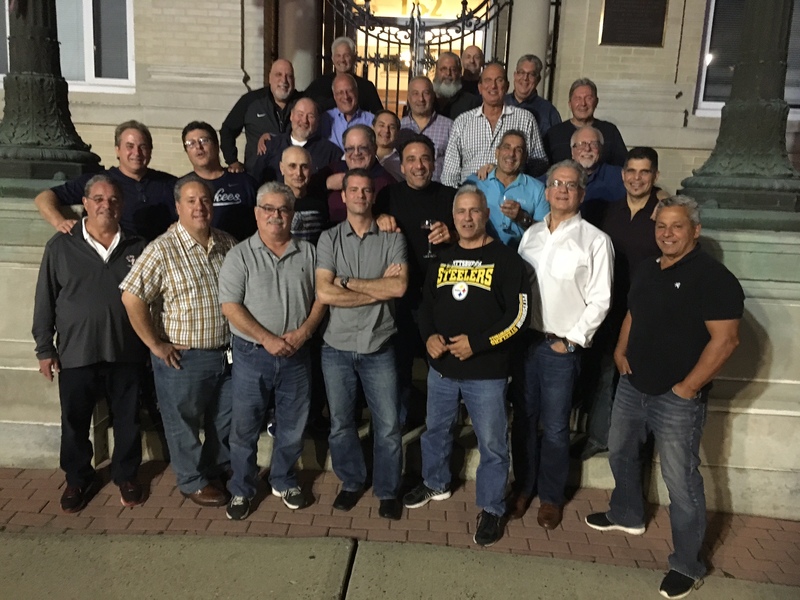 And then, as Cuzzi said to me when he had a chance to catch his breath, he had to send a group text to ‘The Fightin’ 73’s, consisting of his friends, from Belleville High’s Class of 1973, to let them know of his wonderful accomplishment. 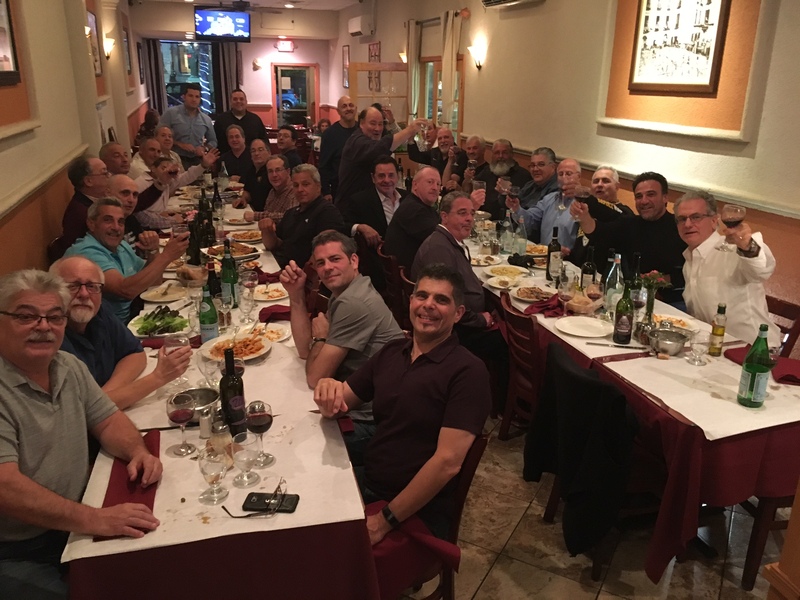 Many of those friends gathered at LaSicilia, a wonderful restaurant in Belleville on Oct. 18, to congratulate their pal. And they did it in the only way they knew. By raising a glass, telling some stories, and wishing a favorite son the best in yet another adventure. Rich Giordano, a close friend of Phil’s, and a member of the Fightin’ 73’s, commented on Cuzzi’s World Series assignment last weekend. When Cuzzi read those words, his emotions rose. The reaction from friends on social media was overwhelming for Cuzzi’s success. Everything from ‘Phil’s a great guy’, to the usual congratulations and memories of growing up with a man who has really never changed, were the common theme. Phil Cuzzi is a man of his word. He’s done so much for ALS research, in a very personal, yet, well-documented way. His love for dear friend, Robert Luongo, one of the Fightin’ 73’s, who died in 2004 from Lou Gehrig’s Disease, led to the formation of a fundraising dinner in 2005, which will celebrate its 14th renewal this coming winter. Read more about Phil’s commitment to his friend, Robert, by clicking on this link. While the Robert Luongo Fund Dinner is spectacular, Cuzzi also speaks to local groups about baseball and life, and tries to make himself available for his community, as much as possible. Cuzzi’s determination to succeed in an occupation which doesn’t allow for a lot of success, speaks of his fortitude, as well as his family’s support and encouragement. I’ve had the chance to travel with Phil to 17 cities since 2000 to watch him umpire. There’s been some great times in places like Milwaukee, Minnesota, Cleveland, Cincinnati, Seattle, San Francisco, Oakland, Boston, Houston, Chicago and Kansas City. I’ve met some really good guys who Phil has worked with, including the great Tim McClelland (“That’s enough, Ralph”), Jerry Crawford, Bruce Froemming, Ed Rapuano, Jerry Meals, Greg Bonin, Terry Craft, Brian O’Nora and Joe Brinkman. 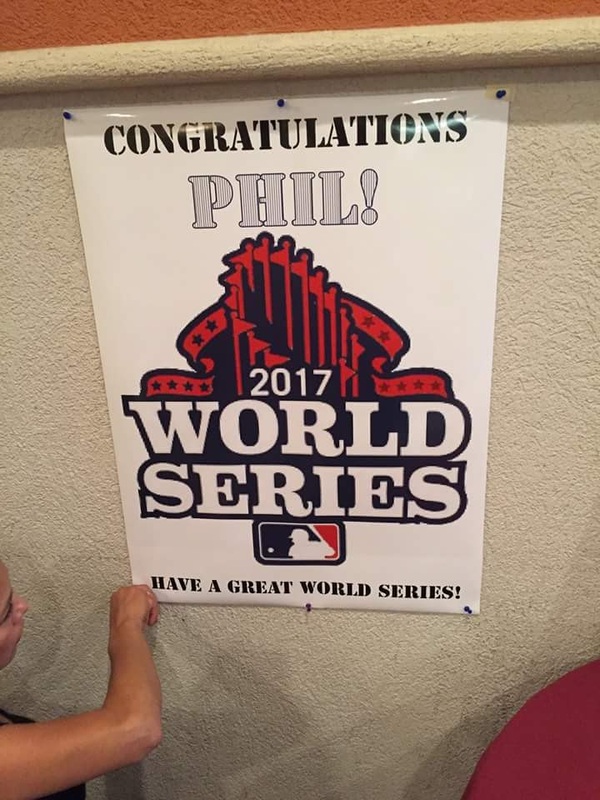 And now, Phil will be saying ‘Play Ball’, for Game #1 of the 2017 World Series.